On the left is the brain activation pattern for "death" in participants who had made a suicide attempt. 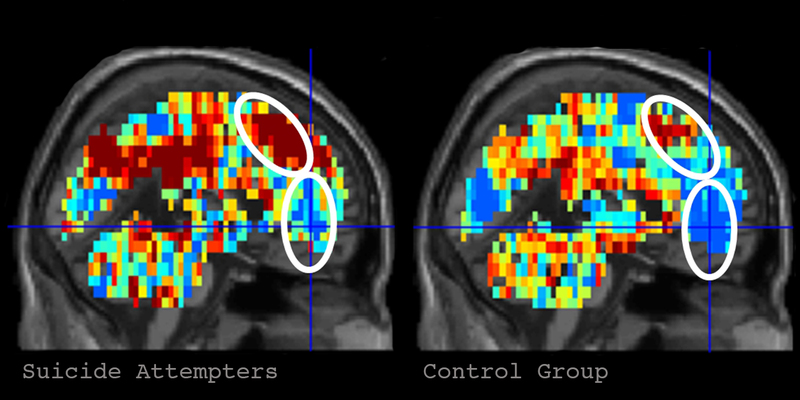 The image in the right depicts the activation pattern for "death" in control participants. Credit: Carnegie Mellon University. This article has been republished from materials provided by Carnegie Mellon University. Note: material may have been edited for length and content. For further information, please contact the cited source.